Not Your Typical FIRE Awakening – Where Do We Go From Here? My wife, Amanda and I have been following the FIRE movement for quite awhile now. We don’t fit the typical demographic of the majority of the folks in the movement. We are a bit older but so very thankful that we discovered them when we did. “living related donor”. We stayed near the hospital for just over two months. (To read more about that experience you can read Amanda’s blogs linked here.) 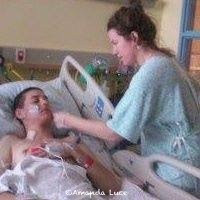 Nearly a decade later, my son enjoys a healthy liver and Amanda has experienced zero side effects from the procedure. Prior to the “emergency”, Amanda and I kept very busy working as educators, being parents and chasing the “American Dream” (paycheck to paycheck). Oh yes, we had a house that was too big, with a refinanced mortgage that incorporated our consumer debt, including the purchase of the truck I “had to have” . . . that I “deserved” . . . because I “earned it” . . . Yada, yada, yada. Really? The medical recovery process forced us all to S-L-O-W . . . . D-O-W-N. So we hit up the local library and bookstore and caught up on A LOT of reading. Avoiding all professional reading, we read books, articles, blogs, etc. focused on our personal interests. Reflecting back on this time, Amanda and I believe that this humongous life event was the catalyst that led us to our major ‘shift’. Our ideas about what was really important in life would never be the same. And, as much as I loved being a principal, there were more and more days in which job stress completely overrode any joy that I otherwise might have felt. I remember saying to Amanda more than once, “I really don’t want to die in my office chair.” I felt trapped by the need for the paycheck and frankly was beginning to feeling defeated. Fast forward through what was in reality a more gradual process, we came to the conclusion that serious changes were needed in our life – especially with regard to money. We became keenly aware that living a more reasonable and affordable lifestyle would allow us to save some money. Having money saved, in turn, might buy us some much needed freedom, or at least some space. Perhaps we could take a year off. Maybe I could move out of administration or maybe, just maybe I would be able to retire on time. In a book (sitting for years on our bookshelf) by Dave Ramsey, part of his system for helping people “build wealth” is referred to as the 7 Baby Steps. The underlying premise of this (and most every other) approach to financial security is that a change of behavior is required. Albert Einstein is commonly given credit for the quote, “Insanity is doing the same thing over and over again and expecting different results”. Soooo, one of the first acts of our sanity was to develop a budget we could commit to. We made a plan to become debt free and made a solemn oath to stick to it. We tried Dave Ramsey’s “debt snowball” idea and scheduled weekly “budget meetings”. We spent every dollar coming in with intention and agreement. It was painful at first but we found ways to make it fun. We built in a budget line item labeled “fun money” that we sometimes didn’t even spend. Somehow knowing we could, made a world of difference. It wasn’t long before we really started to enjoy the whole process. From these humble (albeit a bit tardy) beginnings, we had begun down a new and exciting (one way) path, called FIRE. Understanding that FI is not just about money or a number but about lifestyle and creating freedom to choose, I knew I still had a lot of work to do. Ensuring that I never turn my back on my purpose and desire to make a difference continues to be a guiding principle on this journey. Reader Beware: My next post may provide additional evidence that we are indeed crazy. But using Einstein’s definition of insanity, you will soon clearly see that, at least we didn’t “do the same thing over and over again”. Wow. Thanks for sharing your story. I’m glad that such a positive change came out of such a difficult situation. 15 minutes are generally lost simply just trying to figure out how to begin. Any recommendations or tips? do not mind. I was curious to find out how you center yourself and clear your thoughts before writing. I find that there are days that I feel the “creative juices flowing” and days that I am a bit off. When I am experiencing a day in which I am energized I generally have lots of ideas on different topics. I use a note taking page ands I write down topics and bulletpoint ideas beneath each topic. That way when I start to write a post, I am better able to focus on the subject/topic without feeling like I am going in too many directions AND I have place holders for the other topics as well. excellent blog. An excellent read. I’ll certainly be back. Thank you for the feedback as well. I am a work in progress. Next PostNext You’re Going Where? Dan on You’re Going Where? Ellen Hatcher on You’re Going Where?